50 Inch Flat Screen TV with Showtime, Fridge, Microwave, Desk, Iron and Board. A big, warm, southern Hello to all of you from Hometown Inn Ringgold! Located just 7 miles south of Chattanooga, Hometown Inn is poised gracefully to offer you all the delights of Chattanooga, combined with all the comforts of home! We offer breathtaking tranquil rural beauty, yet the business as well as the leisure traveler will appreciate easy access to popular Chattanooga attractions and corporate and convention centers. Hometown Inn Ringgold is a vantage point from which you can enjoy a variety of activities! We are only 8 miles from Chattanooga Metro Airport. The Childrens Discovery Museum, Chattanooga Choo- Choo, the Hunters Museum of American Art, Rock City Gardens, Chickamauga Lake and the Tennessee Aquarium are all an easy distance away. Enjoy a dinner cruise on the Southern Belle Riverboat! Shop till you drop at the Warehouse Row Outlet Mall and the Hamilton Mall! Take in a movie at the 3D Imax, or play a round of golf at the Rivermont Golf and Country Club. The University of Tennessee Chattanooga Arena is just 15miles away! Hometown Inn offers 40 tastefully decorated guestrooms. We pamper our guests with a free continental breakfast! All generously sized guestrooms are air-conditioned, with satellite TV channels. We do have in-room refrigerator, microwave oven and coffeemaker. Non smoking rooms and handicap accessible rooms are available. Our business travelers will appreciate Internet access, free voicemail, wake up service and access to copy and fax services. Parking is, of course, free. We would love to welcome you into our haven! Our warm cordial staff is always willing to assist you. We offer you the best value, a perfect location and top-notch services! Come stay with us and make us your home away from home! ActivitiesRinggold is ideally located along I-75 in North Georgia as a bedroom community to the greater Chattanooga area. Staying in Ringgold means that you are not only close to Chattanooga, but also within a short drive to Dalton, the "Carpet Capital of the World". Airport : The Chattanooga Airport offers many of the amenities found in larger airports with the convenience and hospitality of a smaller airport. Attractions : History buffs will find plenty to do in Georgia, including Civil War attractions, history and heritage museums, historic homes, tours and trails. Many of which you will find right here in Ringgold Georgia. Casinos : Winnemucca Inn is an intimate first-class casino, offering popular games for your gaming pleasure twenty-four hours a day. Downtown : Downtown Chattanooga!Where do people from all walks of life come to be a part of the energy and excitement of Chattanooga? Downtown! It's the place to live, play, build, grow, renew, innovate and plug directly into the source of what makes Chattanooga one of America's best cities. Golf : Golf courses of Ringgold , Georgia , with public, private and resort courses for your golfing pleasure. Government : he elected officials that serve the City of Ringgold work diligently to ensure the City executes outstanding performances regarding services provided to the citizens. Hospitals : Hutcheson Medical Center was voted as North Georgia's Best Hospital, Best Emergency Room, Best Place to have a Baby and was a Finalist for Best Place to Work and Best Nursing Home by Times Free Press readers in the annual 2013 Best of the Best poll. Thank you for supporting Hutcheson and to our wonderful employees who provide impeccable, personal medical care to the residents of North Georgia. Shopping : Shopping in Ringgold Downtown Ringgold offers unique small town shopping experience, which cannot be found in surrounding cities. Visitors to the city are welcome to enjoy Southern Hospitality at its best by shopping in Ringgold. University : Lee University is a private, comprehensive university located in Cleveland, TN, in the foothills of the Appalachian Mountains. Lee is emerging as a leader in higher education in the southeastern region and is continuously ranked in the "Top Tier" of Regional Universities in the South by U.S. News & World report. Lee is also ranked by Princeton Review's "Best Colleges" as one of the 138 colleges named Best in the Southeast. 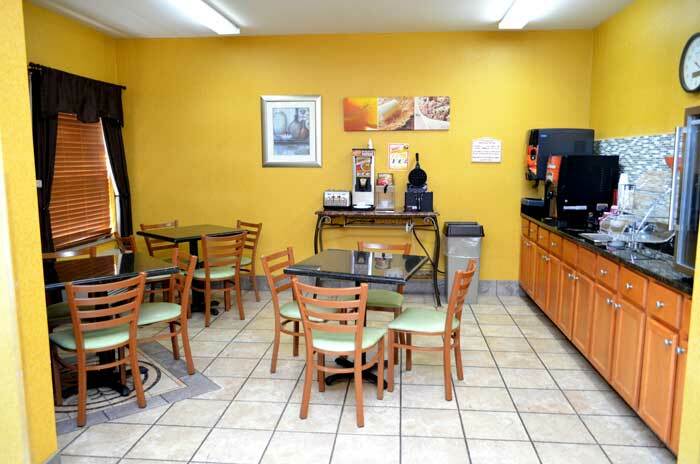 Welcome to our great hotel in Ringgold Georgia with affordable rates and cheap budget discount lodging. HomeTown Inn Chattanooga welcomes you to our budget hotel in Ringgold Georgia. HomeTown Inn Chattanooga will provide you excellent customer service with great amenities in comparison to all Hotels and Motels in Ringgold Georgia. Please visit us on your next stay in Ringgold Georgia and let us provide you with 4 star hispoitality for 2 to 3 star budget rates. HomeTown Inn Chattanooga has been providing lodging and accommodations in Ringgold Georgia for sevral years and looks forward to providing our valued customer and business traveler with the best service in Ringgold Georgia for Hotelsand Motels in our local area. © 2017 HOMETOWN INN RINGOLD. ALL RIGHTS RESERVED.